SITECH® Indonesia, as a Trimble Heavy Civil Construction distributor in Indonesia, has brought an exciting part of new technology to Indonesia Construction market. Our team understand how to apply innovative construction technology to effectively solve some big challenges in the construction industry. Learn how this technology simplify your work. This technology makes many significant improvements in project workflow, dramatically increase your production, improve your accuracy and reduce your operating cost. Prove that it really works! Adopt this construction technology and accelerate the growth of your company. 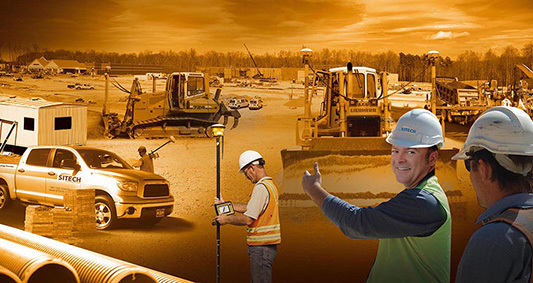 With Trimble Heavy Civil Construction, you are more powerful in heavy and highway project marketplace position. Even if you only choose to adopt partly technology, its expanded capability will enable you to earn the bid and to be profitable. Grow your business with SITECH® Indonesia.